The quiet and secluded setting of this authentic private country house offers a unique experience in an idyllic place of retreat. The house and cottages are set amongst 20 acres of mature grounds on the north coast of Sligo Bay, overlooking Drumcliff Bay with Knocknarea on the opposite side. 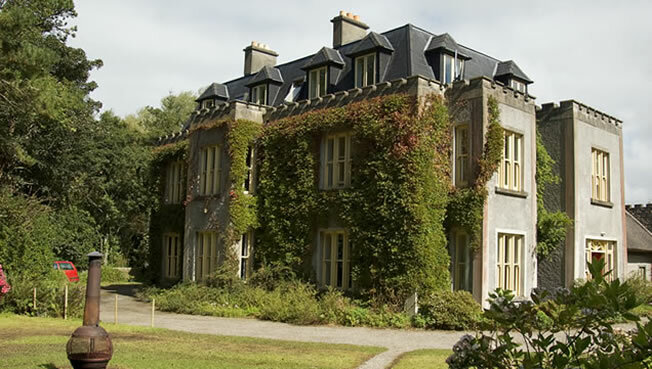 The rural and coastal surroundings of the Yeats Country in County Sligo invite walks on the shore, along country roads, and through the grounds. You may choose to stay either in the 19th century Ardtarmon House in generous Bed and Breakfast rooms, or take the option of staying in one of the five self-catering cottages. Cottages and grounds are suitable for children to roam and explore; they can enjoy table tennis in the games room or safe swimming within 500m on the private beach.